You are going to Watch Magi: The Labyrinth of Magic Episode 14 English dubbed online free episodes with HQ / high quality. 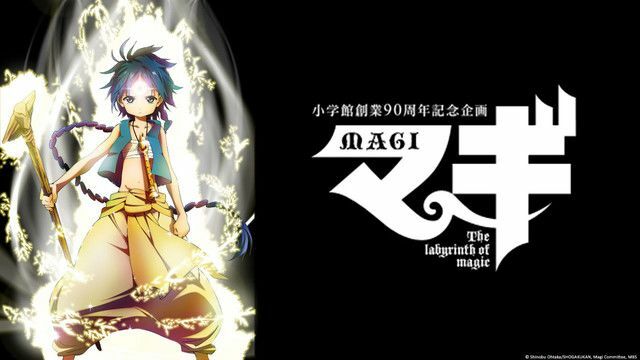 Stream Anime Magi: The Labyrinth of Magic Episode 14 Online English dub Alibaba’s Answer. As Alibaba tries to convince Abhmad to step down, Kogyoku Ren, the princess they previously met, appears in an attempt to stop the commotion. She claims that even if Abhmad is removed from power, another king must be chosen to marry her as part of Balbadd’s agreement with the Kou Empire and all agreements between both countries, including the slavery treaty, must be acknowledged. Alibaba instead declares that there will be no king at all because Balbadd’s monarchy shall be dissolved and adopt a democratic rule…. 4.8 / 5 - 36 ratings.